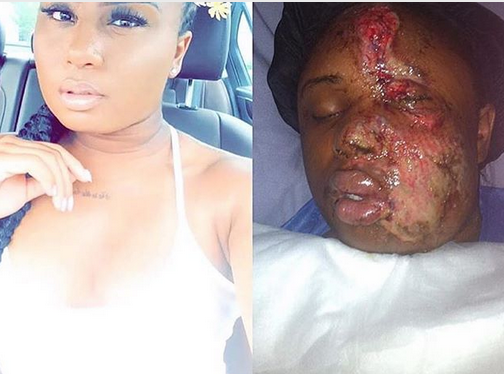 A young lady has shown her infallible strength as she shares before and after photos of herself after suffering domestic violence. The young lady identified as Mera, reveals the attack she suffered at the hands of her estranged boyfriend during a quarrel and its results. Mera was reportedly hospitalised for weeks on end before she began her rehabilitation journey for almost one year. Sharing the before and after photo, Mera describes the hatred she felt towards him and her life following the incident which could have left her scarred for life, physically and emotionally. Three years down the road, Mera chose to forgive and forget, moving on with her life and is obviously better off for it.